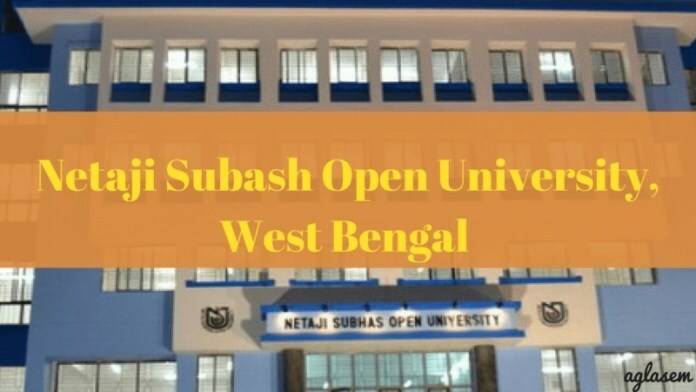 NSOU Exam Routine 2019 – Netaji Subhas Open University (NSOU) releases the exam routine on the official website. Students can visit the official website to check the NSOU Exam Routine 2019. Students can even check this page for the exam schedules and exam venue. This page is updated with the latest NSOU Exam Notice. The students can use the Exam date for knowing the day of the exam being commenced and even know the exam venue. Students can add NSOU Exam Notice 2019 to their Time Table and prepare for the exam accordingly. Check the article for NSOU Term End Exam 2019 and Exam venue. Latest: NSOU has released the date sheet of Examination Notification of Advance Certificate Course in Communicative English (ACICE). Exam schedules are released for the convenience of the students. It helps them to know the exam date and time. Students can start their exam preparation according to the exam dates. Candidates can also check NSOU Previous Questions for the preparation of the exam. Check the table for the exam dates and venue. Post Graduate Public Administration (PGPA) PCP Schedule for Post Graduate Public Administration (PGPA), Part-2, Paper-7, July 2017 Batch. How to Check NSOU Exam Routine 2019? Click on the link provided above to check the NSOU Exam Routine 2019. The Exam Routine will also be available in the study centres and official website. Follow the steps to checking the NSOU Exam Routine 2019 online. Candidates must carry the Admit card and a valid college ID card on the day of the exam. Report to the exam centre 30 minutes before the commencement of the exam. Avoid any kind of activity that may lead to misconduct of the exam. NSOU Admit Card is the most important document for appearing in the exam. Candidates shall be allowed to the exam hall only if he/she carries the hall ticket on each day of the exam. The University issues the Admit Card for all eligible candidates. NSOU Admit Card hold the information the candidate appearing in the exam. The admit card holds the information such as candidate’s name, roll no/reg no, exam date, exam time, exam centre details, candidates’ photograph, and the signature of the controller of the exam. The Admit Card is verified by the examiner in the exam.